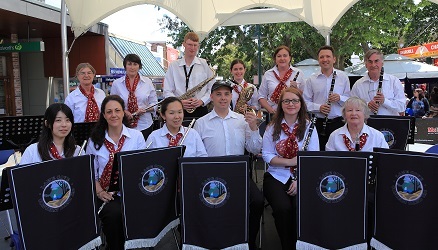 Tambourine Bay Winds are a woodwind ensemble which performs music by Baroque and Classical through to modern and contemporary composers. The ensemble loves to perform in and around the community and is also available for private functions for a small fee. Tambourine Bay Winds are open to membership inquiries from players of all types of woodwind instruments. The ensemble is dedicated to making beautiful music and having fun while doing it! There are twelve Sunday rehearsals per year during school terms, with regular performances throughout the year.